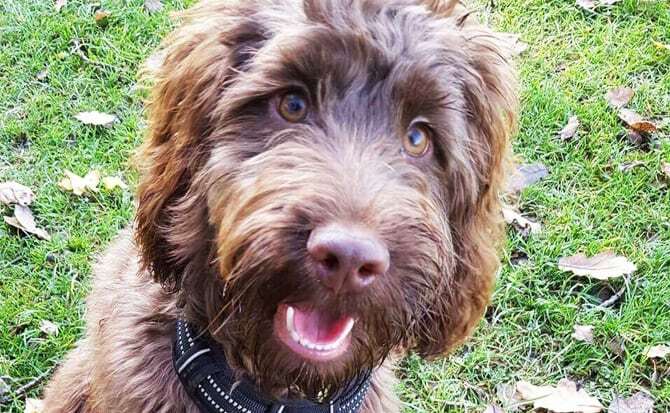 Indie, named after the great Indiana Jones is an 8 month old cockapoo with a fantastic temperament. He is clever, loving, happy and healthy! Long before his arrival we researched everything we could relating to both cockapoos and dogs in general. 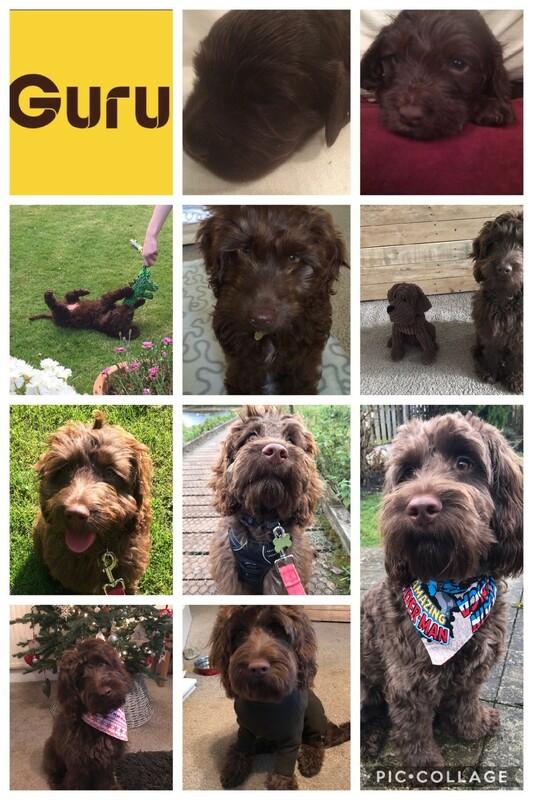 You see Indie was to be our first puppy and we wanted to do everything right and give him the best start possible in life (much like any other dog owners). Nothing could prepare us for the love we would feel for this little pup and how clever he would be! Indie came to us on a wet dog food, but from our research we knew we would change that food to Guru within a few weeks. 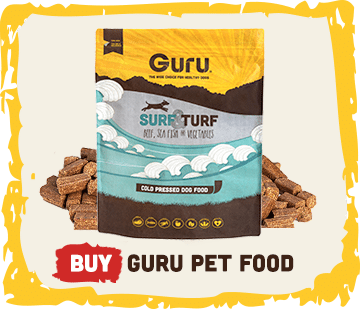 We had checked out the All about dog food website and come across Guru. Being a member of many cockapoo Facebook pages we asked about Guru and the praise given for this cold pressed food was enough to make us order a whole bag immediately! Indie’s tummy was unsettled on his current food, so the decision we made was to make an immediate swap over to Guru. We haven’t looked back…not only has Indie’s tummy been settled on Guru, but he gets so excited about Guru that we are able to use it as a training treat! I’ll be honest, Indie does love his food and would eat anything offered to him…BUT he has been on this food from being 10wks old and still gets very excited when I get it out of the bag! I feel like I’ve found a dog food that I can confidently recommend to others and have done so via social media and word of mouth. 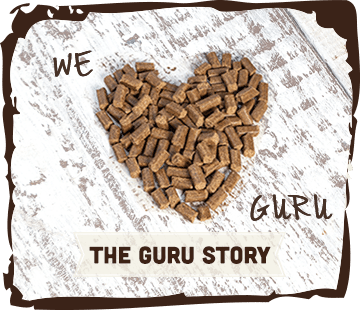 This has resulted in many people I know trying Guru for their dogs…again their dogs are excited to eat it! I am happy that Indie is getting all the nutrition he needs to grow up into a strong, healthy dog. He never gets his food from a bowl and always enjoys working for it whether that is through training, hide and seek, his snuffle mat or his Kong Wobbler. 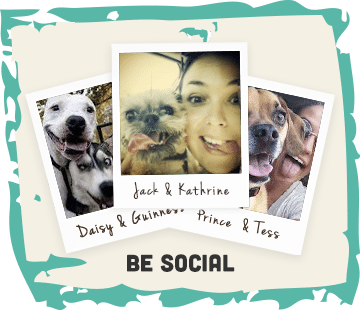 Indie never gets bored and always wants more, which is a winning situation for us! I must say that we have received numerous comments from friends, trainers and our groomer on his beautiful soft fur, his sparkling eyes and his excellent behaviour which I believe is mainly down to the fantastic quality food he is on! I am proud to call Indie a Guru Geekster!